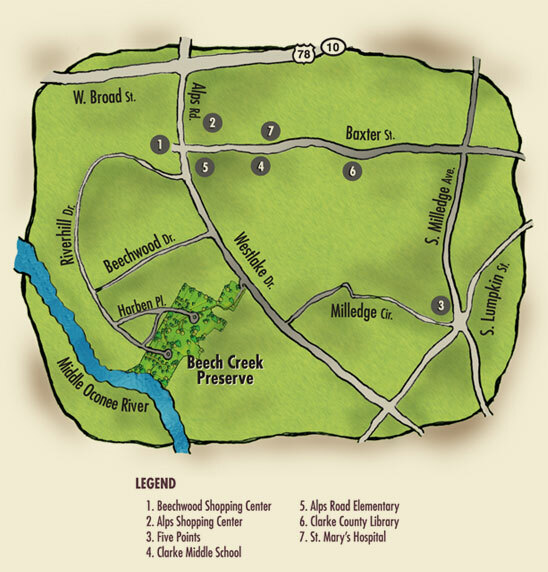 Beech Creek Preserve offers the unique advantage of immediate proximity to Beechwood and Alps Shopping Centers, St. Mary's Hospital, Clarke County Library and Five Points shopping and dining, while residing in ultimate privacy surrounded by a woodland setting nestled along the banks of the Oconee River. 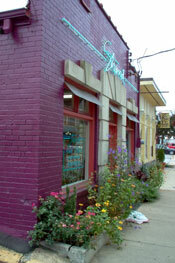 Abundant shops and restaurants, and national chains and locally owned boutiques, are located throughout these shopping districts. Residents will find everything from upscale clothing shops to sushi at their front door. At the virtual doorstep of the University of Georgia, Beech Creek Preserve offers residents the opportunity to enjoy all the benefits of involvement with UGA sporting and cultural events. Visit some of the finest restaurants in Athens within just a couple miles of Beech Creek Preserve and return home to find quiet streets and a serene setting in which to retreat.